ABUJA, May 16 2014 (IPS) - Tomorrow Nigeria’s President Goodluck Jonathan will meet other heads of state at a security summit in Paris, France to focus on ways of combatting Boko Haram, the Islamic extremist group which kidnapped 276 schoolgirls from Chibok in April. But questions have been raised about whether the abductions and the deaths of thousands could have been avoided had Jonathan acted decisively three years ago. Jonathan has drawn criticism from lawmakers and human rights groups, who accuse him of being partisan in handling the security threat. Boko Haram translates to “Western education is forbidden”, which is the central creed that has driven its members to attack school after school. And while girls attending school are often abducted, boys have been slaughtered for pursuing their education. In one of the most horrifying attacks yet, in late February the group’s fighters murdered nearly 50 students in a secondary school in Yobe state, one of the three most-affected states in Nigeria’s northeast. Rights group Amnesty International says that in 2014 alone, more than 1,000 civilians have been killed in what appears to be the bloodiest year since the brutal insurgency began in 2009. 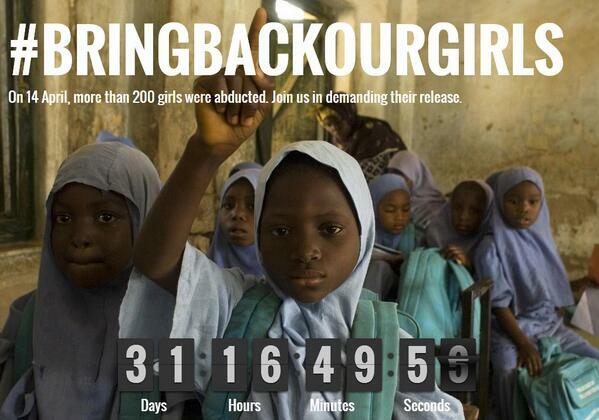 But the mass kidnapping of 276 girls from Chibok secondary school in northeast Borno state on Apr. 14, brought international attention to the terror campaign in this West African nation. 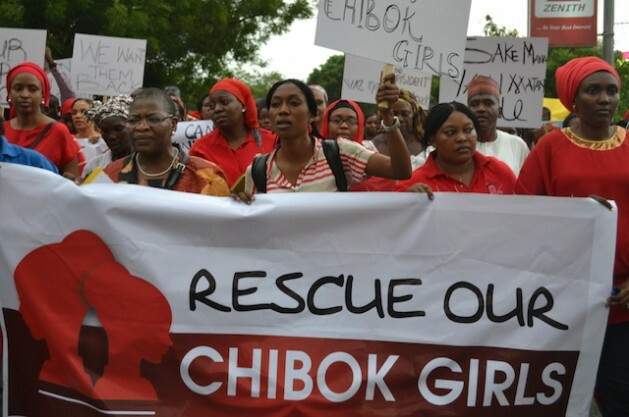 A massive social media movement under the Twitter hashtag #BringBackOurGirls has lasted weeks, and the United States, United Kingdom, France and Israel have sent experts to Nigeria to assist in rescuing the girls. But Jonathan’s response to the kidnapping was slow. The president’s supporters and the ruling People’s Democratic Party have routinely dismissed the terrorist attacks as the handiwork of the president’s opponents — mainly from the predominately Muslim north — who they say are out to derail Jonathan from seeking reelection next year. The president’s supporters speak of the attacks as being confined to a remote part of the country, implying they can be ignored. And Jonathan has not dispelled these sentiments, indeed, he appears to back them with his inaction. The Chibok abduction came hours after a car bomb by Boko Haram killed at least 75 people in the capital, Abuja. A day after the incident, the president travelled to north-western Kano state for a political rally, where he was photographed singing and dancing. Many others feel he only acted weeks later after the abduction of the girls came to the attention of the international media. But many feel Jonathan should have acted three years and 5,000 deaths ago. 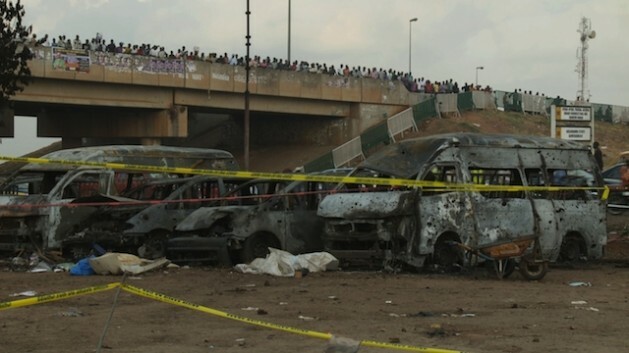 On Christmas Day 2011, Boko Haram militants killed at least 44 worshippers by detonating a car bomb outside a church in Abuja. At the time, Jonathan vowed to respond forcefully against Boko Haram, which had already murdered nearly 1,000 people. Jonathan said the organisation had grown “cancerous, and Nigeria being the body, they want to kill it,” he said, vowing to “crush” group within months. But the extremist group’s leader, Abubakar Shekau, buoyed by the government’s apparent failure to end the budding insurgency at the time, boasted that his group would continue targeting symbols of state. A list of targets, motivated by the group’s ambition of creating an Islamic state in northern Nigeria, came under under attack. Three years on, Shekau’s threat, rather than Jonathan’s, has held largely true. The group has attacked schools, churches and villages, causing increasing devastation. It has slaughtered students and kidnapped scores over the years. Its most infamous attack is now the kidnapping of the 276 schoolgirls in Chibok. This week, Nigeria’s House of Representatives approved Jonathan’s request to extend emergency rule in the country’s states most affected by the conflict for another six months. Adamawa, Borno and Yobe states have already been under a state of emergency for more than a year now. The Senate is expected to vote on the request Tuesday, May 20. Both houses have to agree for the decision to be effective. But Jonathan’s request for this extension of the emergency rule has drawn criticisms from lawmakers. The current state of emergency has done little to deter Boko Haram in these states and in fact the group has escalated its terror campaign. 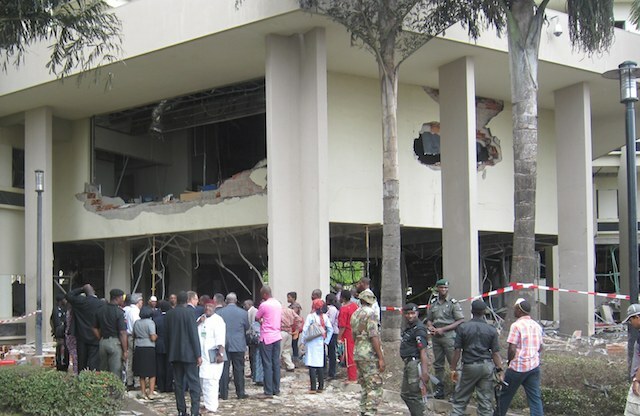 It culminated in daring attacks on military bases, two car bombs at a busy bus terminal in Abuja, and several raids on schools and villages. The failure of the military to stop the attacks is primarily a result of its poor human rights record, which has alienated the local population, according to William Miles, a professor of political science at Northeastern University, U.S.
“Too many of the rank-and-file members of the Nigerian military view northeastern Nigeria as alien territory, with a potentially hostile local community,” Miles, who is also a member of West African Research Association, at the African Studies Centre at Boston University, tells IPS. “Without a good rapport between the local populace and the national military, it is too difficult to obtain the most important assets in combatting domestic terrorism — local informants and a functional intelligence network,” he points out. Indeed, international rights groups have accused the Nigerian military of conducting summary executions. Amnesty International said the Nigerian security forces executed 600 Boko Haram detainees when the sect’s fighters stormed a military facility in Maiduguri in April. The military said it had no choice. Beyond the human rights concerns, the military has also come under criticism for being poorly equipped and for its dwindling morale. While the military budget has now increased, years of underfunding the military to avoid coups has taken on a troubling dimension. On Wednesday, May 14, troops opened fire on the motorcade of a senior military commander, Ahmed Mohammed. Mohammed was the General Officer Commanding Borno state’s 7 Division, which was recently created to fight Boko Haram. They blamed him for the deaths of at least four soldiers killed in an ambush by suspected Boko Haram militants while patrolling Chibok. Local reports say the soldiers said they were compelled to travel through the area at night without proper armour. Mohammed has since been redeployed. The Nigerian government has struggled to contain Boko Haram’s attacks to this country as the extremist group has attacked neighbouring countries, including Cameroon. It has led to fears of instability in parts of neighbouring Chad, Niger, Cameroon, Benin, Ghana and even Central African Republic. “The destabilisation of any nation in the West African sub-region is a threat to the security of all the other surrounding nations,” Ghana’s President John Mahama said after the Chibok kidnappings. Mahama has pledged a robust response to Boko Haram, through the Economic Community of West African States, a regional body. This week, Cameroonian officials told IPS that the Central African nation, which borders Nigeria’s northeast, has been infiltrated by Boko Haram. The United Nations Office for the Coordination of Humanitarian Assistance said nearly 300,000 people in Borno, Yobe, and Adamawa states – 70 percent of them women and children – have fled their homes since early 2013. About 60,000 have sought refuge in neighbouring Cameroon, Chad and Niger since May 2013, according to U.N. Refugee Agency. Despite the mounting challenges, the Nigerian government will win the war with the broadened foreign support, says Christian Ichite, a research fellow at Abuja’s National Defence College. “Efficient kinetic measures against insurgents are driven by intelligence and technology from professionals,” Ichite tells IPS. “In this respect, Nigeria has requested for and is receiving assistance from the U.S., U.K, France, China, Israel and the Eurpoean Union.